Do you need to better understand and respond to death and dying while being more inclusive in how you communicate with those who are bereaved? Dr Judith Wester will be teaching two highly praised workshops to help the professional, parent, teacher and adults do just that. These are not-to-be missed opportunities to learn something new about the everyday issues of loss…For more details and how to book go to: Understanding Grief Workshop. We are also running a special workshop on Death Education for Health & Wellbeing at the Oswestry Library, for those who want to improvement their language and communication around this difficult topic. 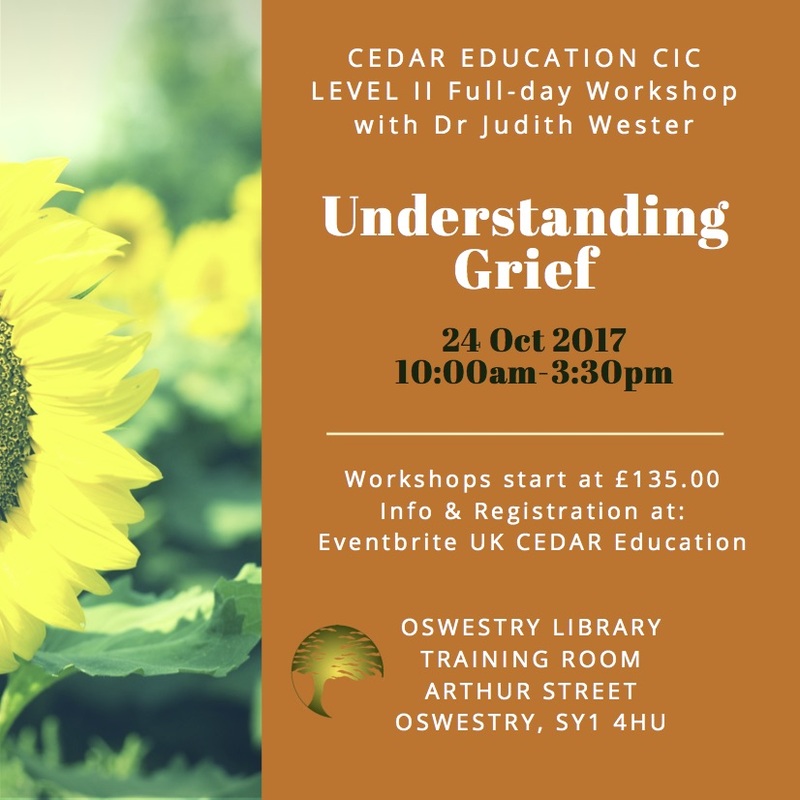 This course precedes the Understanding Grief workshop and is important for laying the ground work of what will be covered in the Level II course.